Nothing makes you officially feel old than your friends having kids. You go from buying bottles of alcohol to buying plastic baby bottles (and the alcohol). So this year I’m incorporating some kiddie gifts for my mom readers. 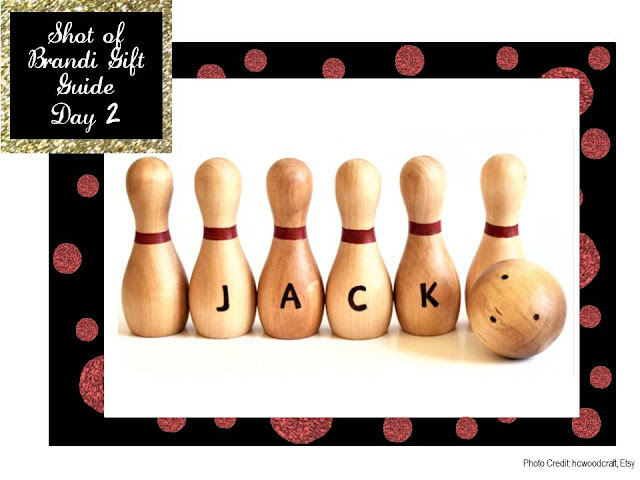 I LOVE this personalized bowling set from Etsy. So affordable too! If you like this one, hurry up and order to ensure it makes it under the tree.